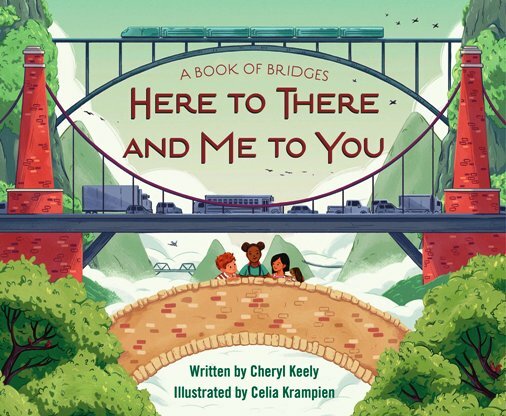 Humans are always trying to connect with each other, and author Cheryl Keely’s newest picture book, Here to There and Me to You, offers the history behind one of society’s most popular ways of connecting: building bridges. The first spread opens with a sweeping illustration (by Celia Krampien) of bridges that cross rivers, connect cities, and even allow outdoor enthusiasts to enjoy a quiet walk from one side to the other. 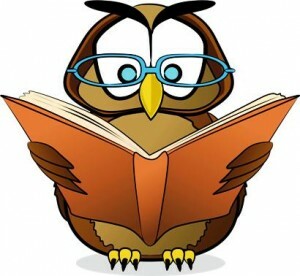 Readers learn that bridges can be made of all sorts of material: they can be wood-covered (Hartland Bridge) or “golden gated” (Golden Gate Bridge) and they can “fall down” (London Bridge) or move up to allow ships to pass (drawbridges). While Ms. Keely describes bridge types, she simultaneously weaves in the bridge history so that readers are learning while they enjoy the Ms. Krampien’s lovely illustrations. Two of the more interesting types of bridges are: the stone bridge, which is constructed of simple stones placed strategically here and there so that people crossing can step from one stone to the next; and the wildlife bridge, that is made specifically for animals to safely cross the road or highway. This is a clever book with unexpected information that is sure to keep both children and adults interested. 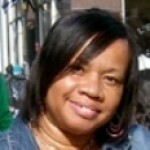 The prose is kid-friendly and the illustrations are lush and green, soft and familiar. Use this book to talk about the history of bridges, problem-solving (building bridges to get from one place to another), and the basic human need to connect.